Many celebrities use hair replacement to cover the effects of alopecia. There are several types of alopecia, ranging from mild hair loss affecting the head and eyebrows to severe cases that affect the entire body. The most common type of alopecia is referred to as male pattern baldness, but it can also affect women. Other types of alopecia affect those who are under age 20, even though the condition isn’t limited to younger individuals. In some cases, alopecia can be temporary, often caused by stress or hormonal changes. Whether the condition is temporary or permanent, many seek alternatives, such as hair pieces. For many women, a hair enhancement is considered fashionable. 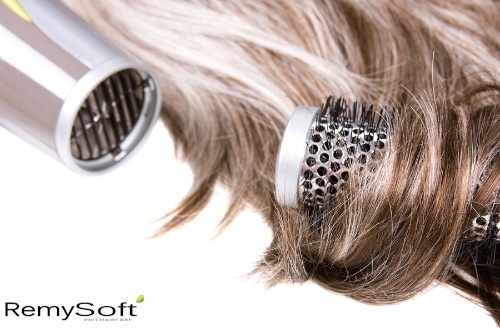 For others, hair pieces cover thinning hair or balding spots. Some women suffer from hair loss due to hormonal changes occurring during pregnancies. Angelina Jolie, Kate Hudson and Debra Messing all wore wigs while their hair grew back to a normal length after pregnancy. Gail Porter reportedly suffered from depression for a longtime, which caused hair loss; she was able to keep up her image by wearing a wig. Almost any time Tina Turner makes a public appearance, she wears a wig. It is commonly believed she suffers from a type of alopecia. Even Dolly Parton began wearing wigs in 2002 because of severely thinning hair. Dolly Parton has long been associated with her gorgeous hairstyles, and the hair pieces allowed her to maintain her public image. As a general rule, we are more familiar with male pattern baldness. Did you know there are several male celebrities who choose to wear wigs or hair enhancements to cover up thinning hair or receding hairlines? Charlie Villanueva, who played for the Detroit Pistons, was diagnosed with alopecia when he was 13. Christopher Reeve was diagnosed with alopecia areata when he was 16 years old. Many were not aware he dealt with alopecia while playing the iconic role of Superman. Robert Pattinson, known for his role in Twilight, wears a wig to cover up hair that has been thinning and receding since he was in his early twenties. The latest images of John Travolta also show him clearly sporting a wig due to male pattern baldness. If you wear a hair replacement piece due to alopecia, contact us. We can provide you with high quality hair care products to keep your wigs looking natural and stylish.